Seen waiting for their parking validation are, from left, Ministry of Sound MD Dipesh Parmar, Incentive Music’s Timur Sekerci, Joe Murphy and Jonty Howard of One Bit and Incentive’s Nick Halkes. 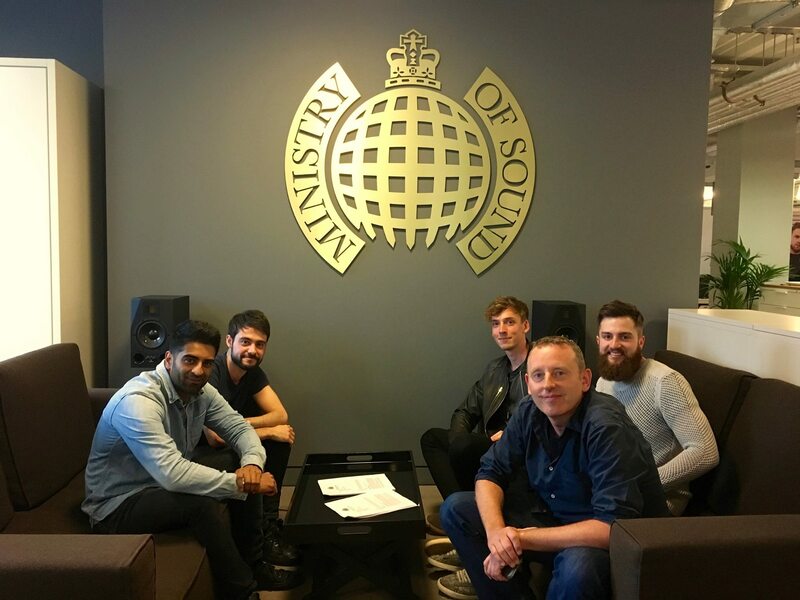 New signing announcements in Blighty this last week have seen talent added to the rosters of Virgin EMI, Warner/Chappell, Ministry of Sound, Fiction and 3 Beat. At Sony, two-piece electronic act One Bit have inked a deal with Ministry of Sound; Ted Cockle’s Virgin EMI has signed London poet Hussain Manawer; and Dead Pretties have joined the roster of Fiction Records.